Looking for Fantastic Lunch Specials? Searching for a fast, convenient lunch spot in Williamsville, NY? Check out our lunch specials. 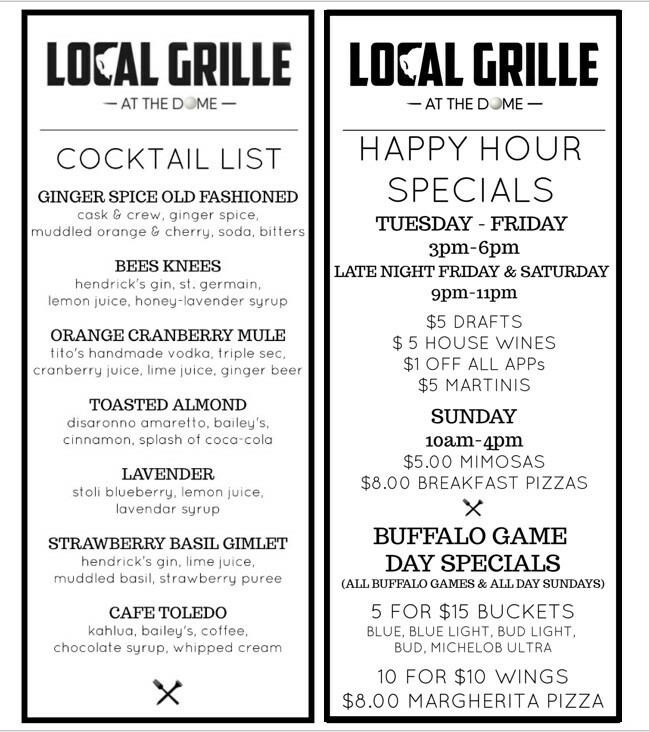 Local Grille offers chicken wings, a plethora of salads, burgers and a variety of other lunch menu items. Our daily lunch specials will help you save money during the week. Need lunch on the fly? We know you only have a limited amount of time to grab lunch during the work week. That's why we offer a take-out option. Call in your order ahead of time, drop by the take-out desk and save precious time during your lunch break. Local Grille is Williamsville, NY's quick lunch option. Call us today at 716-529-3429 to ring in your order ahead of time.